On 17 March, the eastern-based Interim government’s Ministry of Interior launched a security operation to remove “terrorists and criminals” from Libya’s South. The security operation is intended to address human, arms, and drug trafficking, as well as kidnapping, theft and corruption. The operation is a multi-departmental exercise, with counter-terrorism, anti-crime, illegal immigration, criminal research and internal security departments all taking part. A list of criminals being targeted has also been produced. However, the timeline and specific operations details of the operation have not been released. On 13 March, the Misratan based al-Bunyan al-Marsous (BM) spokesman, Mohammed al-Ghassari, stated that an attack on Sirte by the Libyan National Army (LNA) would be a declaration of war, and that BM forces were preparing for such an event. 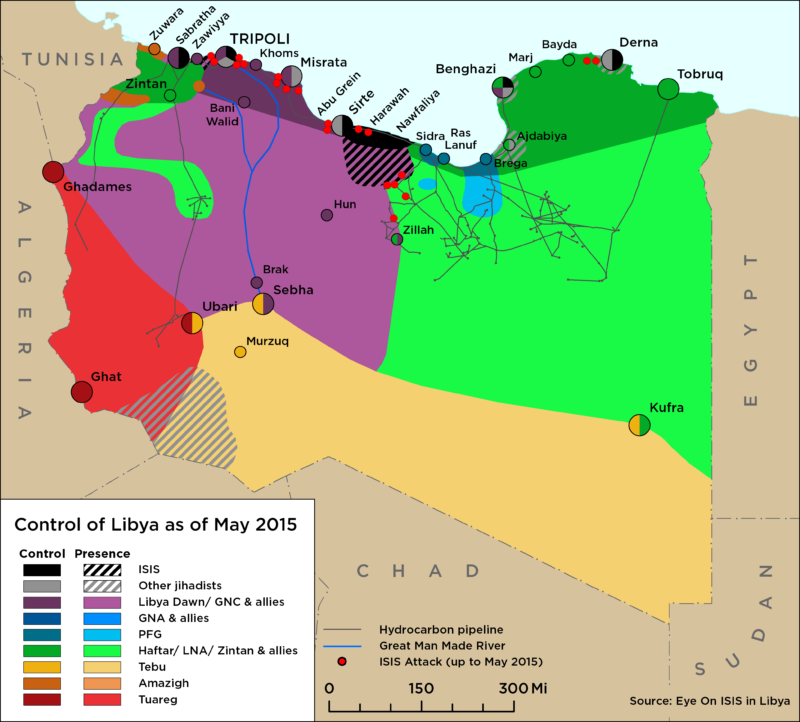 The spokesman stated that the LNA was exploiting military force for political gains and has no civil legitimacy. Ghassari indicated that the state of emergency in the area would persist and called for the Misratan-led Sirte Protection Force (SPF) to fully mobilise and extend the scope of their patrols. On 15 March, the General Command of the Libyan National Army (LNA) released three Zawiyyan prisoners from Qirnada Prison in eastern Libya. They returned to Zawiyya on the same day. 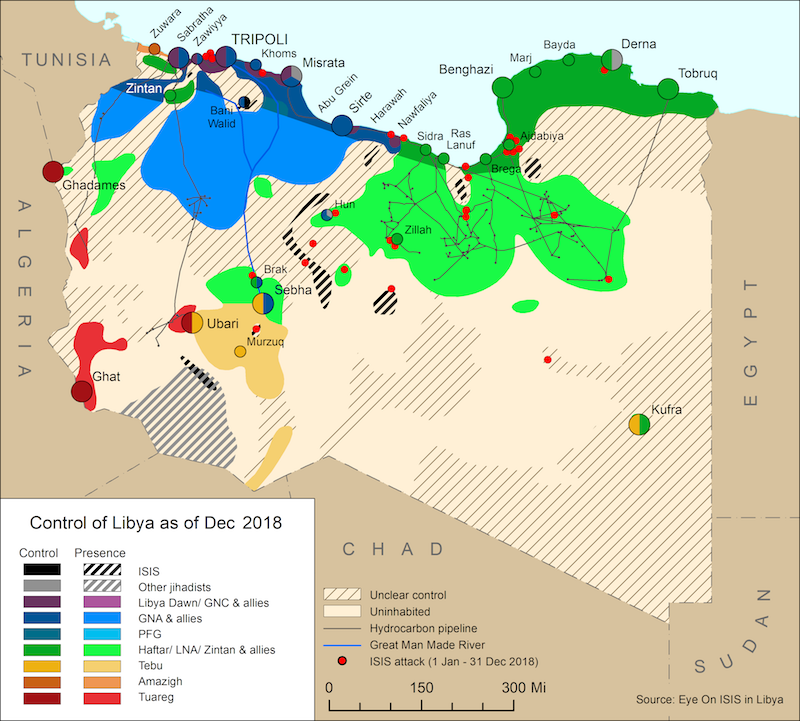 Mohammed al-Khadrawi, Mahmoud Bin Rajab, and Hasan Zeit are key members of the Zawiyya-based Farouq Brigade, Ali Kilani Brigade and the Libyan Revolutionary Operation Room (LROR) respectively. They were arrested in Saudi Arabia on suspicion to links with terrorism in June 2017, before being handed over to the LNA early last year. On 18 March, the spokesperson for the Government of National Accord’s (GNA) Presidential Council (PC) said that the PC has agreed on a budget of around 48.6 billion LYD for 2019. This is an increase on the 42.5 billion LYD budget for 2018. The announcement followed a meeting between PC head Fayez al-Serraj and PC members Ahmed Maiteeq, Abdussalam Kajma, Fathi al-Majbari and Ahmed Hamza, as well as Central Bank of Libya (CBL) governor Sadeeq al-Kabeer and several other ministers and institutional representatives.